Jack kept walking, not looking up at the paneron, or at the shimmer spiders, who pulled in their threads at his approach, hissing angrily. The paneron was too eager to feast on Jack’s rage and fear; it came too low. Jack pivoted on his stick, and leapt. He caught the paneron as it tried to scramble back up the tree, and threw it to the ground. It spat poison at him, twisting and clawing in his grasp. Jack closed his good eye at the poison, which steamed on his pitted cheek, and drove his stick down through the soft spot below the paneron’s jaw. “It’s Jack,” said Jack. “Has been for some time. One-eyed Jack, if you prefer.” He took out his clasp knife, and got to work. When he was done, the light was gone from the paneron’s eyes, and Jack had the two gems of its heart. The rest of the body he left for the kites and the breakshells. The spell that Star and Drusus had set on him meant that any step he took would draw him towards them. It did not keep him moving. Jack found himself a place to sit beside one of the great night oaks, and stilled himself. More still than sleep, more still than death. So still that the spiders forgot him, and lowered their strands down, down past the roots of the night trees, into the dreaming world. Jack watched the sparks rising and falling in those strands. Those were the souls of dreamers; each of the spinners had found a dreamer, and was bringing it upward. The spark would rise as the dreams drew closer to reality, and fall as they fell farther away and the dreamers woke. The trend was upward, ever upward, as the dreams grew closer and closer to truth, until the dreamer would awake in the forest of the night, born anew and briefly, before the spinner’s jaws could close. He had found himself a thick patch of shimmer spiders. The strands were like a curtain of lights between the night oaks, as the souls rose and fell, rose and fell. A strand brushed Jack’s cheek, and another draped over his shoulder. He waited until the spider had fully extruded its strand, then he reached up, and cut it loose. The light died as the soul fled back to the waking world, and at the spider’s cry of anguish, all the other strands flew up. The spiders hissed their rage at him, as he coiled the length of shimmer silk that he had stolen, swore at him in their own inhuman tongue, as scornful as the paneron. The heart-gems of a paneron and a length of shimmer silk he twisted into patterns. Before long, it held the heart-gems in its coils, as well as a hank of Jack’s hair, two silver dimes, and nine drops of Kentucky bourbon, the last of Jack’s store. The drops of whiskey were wrapped so tightly that they could not fall or leak, and so cleanly that they shone like beads through the silk. He had walked as he worked, because the magic demanded it, and it wasn’t long before the cries of the kites, and the whispers of the breakshells gave way to the fluting laugh of Brightest Star, and Black-Cowled Drusus’ dark chuckle. Too soon, too soon–his shimmer silk was gone. “Did you enjoy your walk tonight?” asked Drusus, all solicitous. “Oh, don’t mock him,” said Star. Jack reached for his clasp knife, and stopped, his arm not answering his wishes. They were both more powerful than he, and they were working in concert. “And why not?” asked Drusus. “If he had delayed any longer, I would have had to go get him.” He walked over to Jack, and kicked him sharply in the shin. Jack could not move, but he could feel. They brought Jack to a clearing in the forest, where they had set up an altar-stone. They made a circle there of black iron and nightshade, and carried him in along a twisting path, the magic locking shut behind them. Then they bound him with chains of silver to the altar-stone. They made certain cuts and incisions, filled them with burn-weed and wasp venom, and sewed them up again, so that Jack would remain awake and in pain for as long as possible. He was not to be an offering for one of the more pleasant of the great ones. Once he was secured, the ritual began. They kept him suspended between life and death for as long as they could, in incredible agony. Finally, when they could hold him no longer, they completed the summons and Star drove the dagger into his heart. He woke outside the circle, naked and coughing, wrapped up in a strand of shimmer silk. “No!” yelled Drusus. He ran towards Jack, his knife raised, and slammed into the wall of magic that their spell had made. He laughed, a single harsh bark. The spell had done what he had wanted, but it was strange to be alive, when he had died, to breathe, when he had stopped breathing. Jack gathered himself to his feet, and looked at the sky. There were no clouds, but the tops of the trees tossed, as though a storm was coming. “You’ve called something up,” he said. Star looked at Drusus, and Drusus looked at Star. “Or you can die for him, if you prefer,” Jack said. Drusus and Star both had knives, and they both had them out. Jack shook his head, and retreated to the trees. Star and Drusus had two choices. Either one of them would die in agony, bound over to the torments of the great one for all eternity, or both of them would. If Star would lie down for Drusus, or Drusus would lie down for Star, the survivor would skin him for what he had done, but neither Black-Cowled Drusus nor Brightest Star seemed inclined to make the necessary compromise. It was not much longer before the great one came. 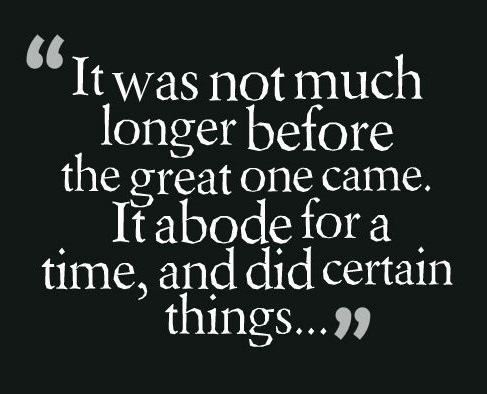 It abode for a time, and did certain things. As it left the circle, its gaze fell on Jack. Jack bowed his head and looked down until it departed. When it was gone, Jack went back to the altar stone. His clothing was shredded and saturated with blood, but his stick and his clasp-knife were still whole. He picked them up, and considered the remains. It had not taken as long, but their deaths had been less pleasant than his. Within the mirrored halls, there would be those who expected Drusus and Star to return, clothed in their new glory, and for One-eyed Jack to be gone. They would be surprised and they would talk when Jack returned, naked and bloody. For a time, people would fear him. Then he would fail to perform wonders, or make any great enemies, and they would forget, well before the time came for him to make his next offering. That was what he had been promised, after all. There was a paneron climbing in the branches of a night oak at the margin of the forest. It looked at him for a time. “Something you want to say?” asked Jack. 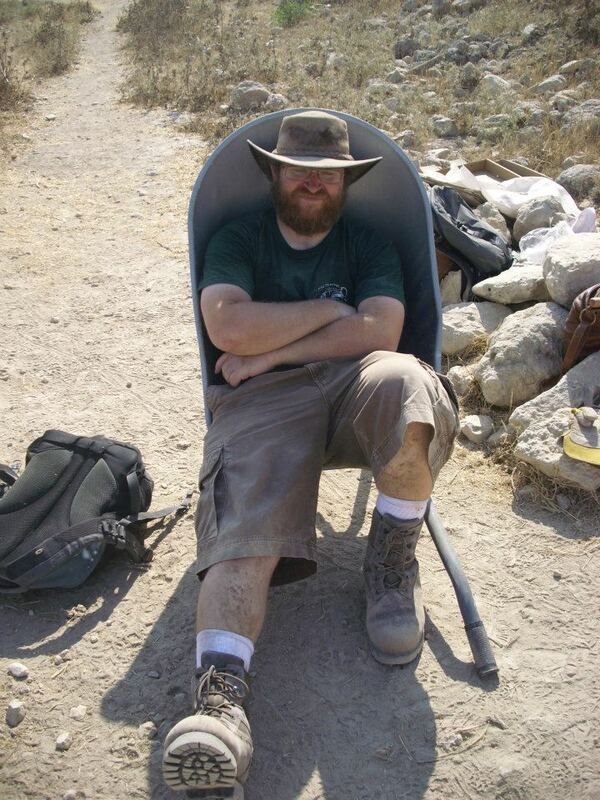 Alter S. Reiss is a writer and archaeologist who lives and works in Jerusalem, with his wife Naomi and their son Uriel. His fiction has appeared in F&SF, Strange Horizons, Nature, and elsewhere, and from time to time he can be found as @asreiss on Twitter. If you enjoyed this story, let Alter know by commenting — and please use the Facebook, Twitter, and Google Plus buttons below to spread the word. Story illustration by Dave Felton. Very nice feel to the whole thing. You could feel the turnaround coming but it was fairly well executed. It gave the impression of being part of a grander story. Beautifully done. 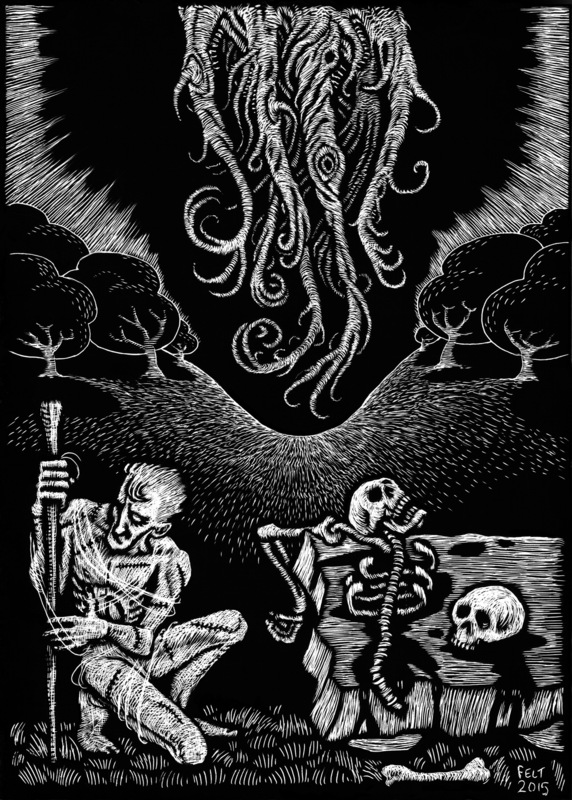 The story reminded me of the Maal Dweb stories of Clark Ashton Smith and Vance’s Dying Earth with a bit of Wellman’s Silver John or Zelazny thrown in, in saying this I do not mean to reduce Reiss’s accomplishment. The world building in such a short work was quite impressive and the twist ending very enjoyable.